GEN Charles Day Palmer, Jr.
Charles Day Palmer, Jr. was born on 20 February 1902 in Chicago, IL, the son of Colonel Charles Day (U.S. Military Academy, Class of 1888) and Edith B. Birkhimer Palmer. Edith died at the young age of 25, when Charles was about nineteen months old. His maternal grandfather, Brigadier General William E. Birkhimer (USMA, Class of 1870), was a Medal of Honor recipient as a U.S. Army Captain during the Philippine-American War. After graduating from Washington High School in Washington, DC, Charles entered the U.S. Military Academy, graduating in 1924. When the U.S. entered World War II, Palmer was a major stationed in the British West Indies, where he was working on anti-submarine warfare projects and involved with the logistics for our country to establish bases in the British-ruled islands. In 1942, Palmer joined the Armored Force in the U.S. and became Chief of Staff of the 11th Armored Division. He went to Europe in 1944 as Chief of Staff of the 2nd Armored ("Hell on Wheels") Division, and continued in that role as the Division participated in the Normandy invasion, the breakout from Saint-Lô, and crossing the Siegfreid Line. In October 1944, he took part in the invasion of southern France as Chief of Staff of VI Corps, holding that post as VI Corps drove through France, across the Rhine and into Germany and Austria. Along the way, he received a battlefield promotion to Brigadier General. In 1945, he was Chief of Staff 4th Service Command and Chief of Staff, Seventh Army. In 1947, he was Chief of Staff, Third Army. When the Korean War broke out in 1950, Palmer was stationed in Japan with the 1st Cavalry Division. During 1947-51, he served as the 1st Cavalry Division's Artillery Commander and then as its Commanding General (with a battlefield promotion to Major General) while participating in six Korean campaigns. During 1954-55 he was Chief of Staff, U.S. European Command. From 1955-57, Palmer was Deputy Commander-in-Chief, US Army Forces Far East. 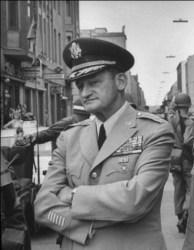 He was Deputy Commanding General, Eighth Army in 1957-58; Commanding General, Sixth Army in 1958-59; and Deputy Commander-in-Chief, US European Command from 1959-62. He retired from the Army on 1 February 1962. 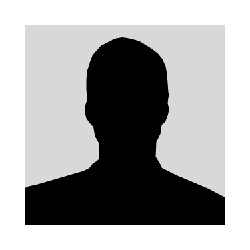 After retiring from the Army, Palmer settled in Washington, DC and worked for seven years as a military consultant with the Research Analysis Corporation. He was a director of both St. Albans School and the Retired Officers Association; he was also a member of the Army and Navy Club. 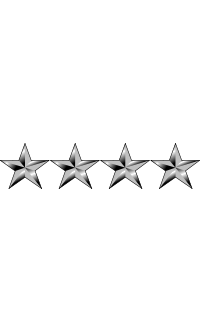 Charles and Williston B. Palmer are the first pair of brothers in U. S. Army history to achieve four-star rank. General Charles Day Palmer, Jr., age 97, died of cardiac arrest on 7 June 1999, at Knollwood, the Army retirement home in the District of Columbia. Survivors include his wife, the former Eugenia Kingman, whom he married in 1954 and who lives in Washington, DC; a son, Charles III of Concord, MA; and three grandsons. Charles is buried near his mother in Arlington National Cemetery, and next to his brother, General Williston B. Palmer. 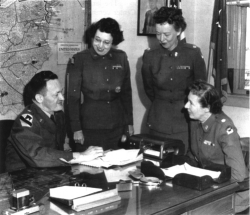 General Charles D. Palmer meeting with U.S. Army WACs.